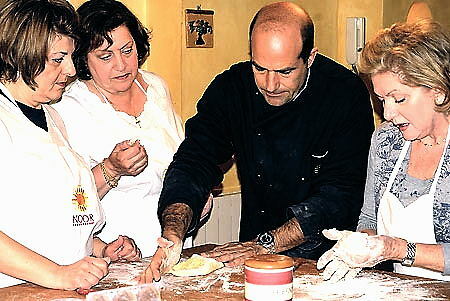 Exclusive cooking experience with a professional chef in the Roman countryside. Participants will be picked up at their hotel in Rome and returned to the hotel in the afternoon. Fabio is happy to teach you the secret of the “Cucina Romana” in a unique and personal style in his country home partially dug in the typical tufa rock that is the characteristic of the region. The house was featured in several architectural magazines. Lunch with wine will follow the class. Pickup at about 9:30AM and return to Rome at about 4:00PM. €140, per person, based on double on a minimum of 2 participants.